Takeo Ujo Nakano was an Issei poet and author of the memoir Within the Barbed Wire Fence, which recounts his experience of the Japanese Canadian internment in road camps and the Angler POW camp. Born in Japan, Nakano immigrated to Canada in 1920, and was living in Woodfibre, BC with his wife and young daughter when he taken away from his family to work in an Alberta road camp. When he peacefully protested against his separation from his family, he was sent to a prisoner of war camp in Angler, Ontario. Throughout his life, Nakano also composed poetry in the traditional Japanese form of tanka, and several of his poems appear in Within the Barbed Wire Fence. 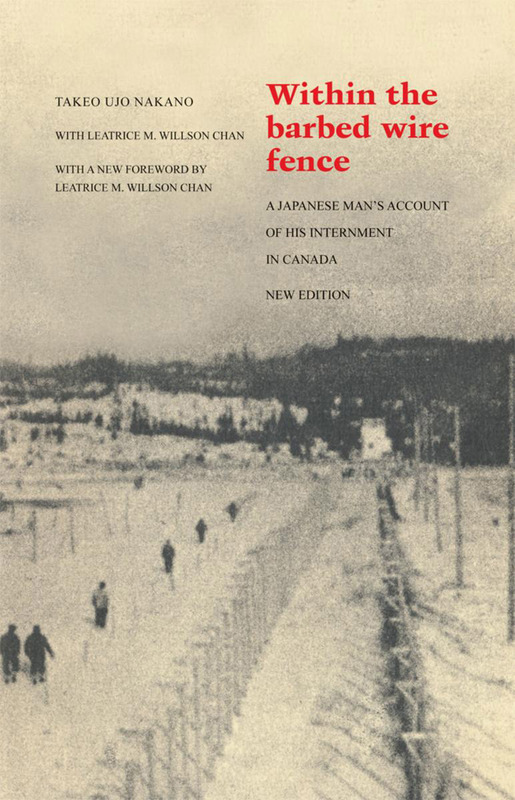 Nakano settled with his family in Toronto after the war, and worked with his daughter, Leatrice M. Willson Chan, to translate and expand on his diaries from the 1940s to publish Within the Barbed Wire Fence in 1982.